“How Asia Works…” (“The book”) comes highly recommended, garnering rave reviews from the likes of Bill Gates etc. The book more than merely lives up to the hype generated. Joe Studwell is more of a surgeon than an economist/journalist as he diagnoses the stumbling blocks, flexes out stimulants and prescribes suggestions that constitute the preserve of a select breed of North and South East Asian nations. Although not a policy prescription in the strictest and narrowest interpretations of the term, the book is certainly an eye opener for policy mavens, ‘the know-it-all’ economist and the eager entrepreneur trying to embellish the prospects of a developing economy. The title of Studwell’s book is however a compelling misnomer. 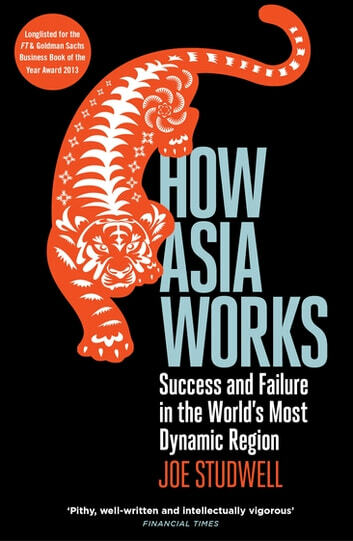 The most appropriate and relevant substitute could have been “How North East Asia Works” or even, “How South East Asia refrains from working”, for the book is a revealing and powerful insight into the play of contradictions and a dichotomy of contrasts. As powerfully demonstrated by Studwell, since procuring their independence, the North East Asian states of China, Korea, Japan and Taiwan have transformed into global economic heavyweights, their South East Asian counterparts such as Thailand, Malaysia, Indonesia and the Philippines have found themselves trapped in a rut of misguided economic policies, myopic developmental visions and misplaced policy prescriptions. While the North East Asian countries scale one improbable developmental height after another, the South East Asian nations always seem to be teetering on the brink of an economic catastrophe perpetually lurking around an unseen corner. “In Korea POSCO started production in 1973 with a 1 million tonne a year operation at Pohang, ramping up to 9 million tonnes of world class output by 1983, and involving an investment of US$20 billion at today’s prices. In Malaysia, Perwaja started out with 1.5 million tonnes of output and got stuck, both in volume and quality terms. With no export discipline, a succession of carpet-baggers filled their boots as the taxpayer shelled out the equivalent of US$ 6 – 8 billion in today’s money for the country to learn next to nothing”. If this isn’t Dickensian, then there are not many instances that actually could be! The final pathway to joining the big league of the rich man’s club lies in financial support. Studwell deems it appropriate to “keep the financial system on a short leash for a considerable period of time and make it serve developmental purposes” rather than resorting to a premature deregulation which seeks out the immediately profitable avenues of investment. The Asian Financial Crisis of 1997 that lopped off the market capitalizations of companies, not to mention decapitating financial institutions in Indonesia, Thailand and Malaysia are desultory and dangerous testimonies to unchecked liberalization and deregulation. In contrast China follows a clearly delineated structure of finance whereby lending and borrowing parameters are rigidly fixed and not allowed to cross boundaries of indiscretion. The feeling that stems from a reading of Colour Sergeant Kailash Limbu can at best be described as ambivalent. If you are looking for an extended and elaborate history of the stellar origins and stupendous achievement of the much admired and feared Gurkha Regiment, then this definitely is not a book. 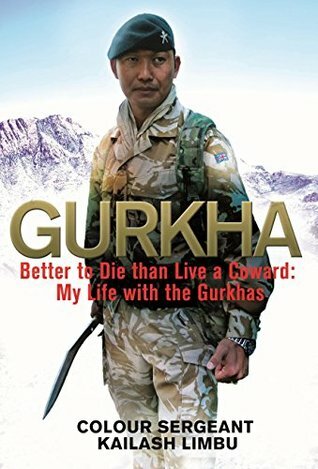 However if you are interested in the manner in which the indomitable Gurkhas act in the face of a deadly siege during the course of a particular operation, then this sans any doubt is a perfect primer. Nawzad, is a small town, the centre of Nawzad District in Helmand Province, Afghanistan. It is located at an altitude of 1221 metres above sea level. Famously named Apocalypse “Now Zad”, this town was the epi-centre of a war of attrition between the murderous Taliban forces and the combined British, Gurkha and Estonian forces. As part of Operation Herrick (the codename under which all British operations in the War in Afghanistan were conducted from 2002 to the end of combat operations in 2014), soldiers from the Gurkha regiment were sent into Now Zad to man a compound housing an Afghan police station and a few members of the ANP Military. The Gurkhas were subjected to one of the longest sieges in the battle of Now Zad lasting for all of thirty one days. Kailash Limbu who was commanding the Gurkha troops chronicles the thirty one day siege in spectacular detail. Abiding by the Gurkha motto of ‘‘Kaphar hunnu bhanda marnu ramro” which when translated into English reads “Better to die than live a coward”, Kailash and his team face a relentless barrage of Afghani RPGs, sniper fires, treacherous deceptions and night attacks with stoicism and courage. During the course of detailing the siege, Kailash also provides a sneak peek into the process of recruitment for entry into the Gurkha regiment, and the ways of the Limbu people going about their lives in Nepal. This according to the author is the first ever time in the 200 year old glorious history of the Gurkhas that a soldier has been permitted to write their story. Although very honest and interesting in its intent, the book could have taken a much greater advantage of such a precious and unique privilege granted to its author.